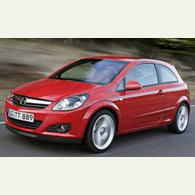 (autoinsidernews) General Motors is planning to bring the Opel Corsa two-door hatch to the U.S. market. Last week at the Paris Motor Show, Bob Lutz, GM's product czar, confirmed the next-generation Opel Corsa would be sold in the U.S. market. according to Automotive News. Lutz said the new Corsa will very definitely go to the United States, where it will be sold as a Saturn. However, don't expect to see the Corsa here anytime soon. The States will not get the current Corsa which was just introduced, but will instead have to wait until the next-generation that is at least five years away. GM hopes to sell between 80,000 and 100,000 units in the U.S. annually. With those numbers, it is expected that production will have to occur in North America, but because profit margins on small cars are small, the Corsa will likely be built in Mexico, reports Trend.